Where Are the Assyrians When You Need Them? In its efforts to redefine barbarism ISIS has bulldozed the remains of the millennia old Assyrian city of Nimrud and has now begun demolishing the Greek/Parthian city of Hatra, crimes against humanity that for an ancient historian surpass their slaughter of innocents. The destruction of Hatra is a particularly great loss, inasmuch as it is – or was – the finest surviving example of a Parthian city, with standing walls surrounding well preserved temples and statuary. For these acts every member of this disgusting organization should be exterminated and refused burial; those who are captured should be handed over to the families of their victims. Seriously. There is, however, a certain irony in the assault on Nimrud, one doubtless unappreciated by the thugs and sociopaths of the “Caliphate.” The Assyrians, who figure largely in the Old Testament because of their destruction of Israel and subjugation of Judah, are chiefly remembered for their extraordinary cruelty, and the Assyrian Empire may well be the first state in history to recognize that terror could be an instrument of foreign policy rather than just a fun time (though the Assyrians never practiced genocide, as the Israelites did against the Amalekites). In this regard Assyria might be seen as the spiritual precursor of ISIS, setting a standard of cruelty that even the Caliphate has not matched; it has apparently not yet occurred to them to decorate trees with severed heads or flay captives alive, standard Assyrian practice. On the other hand, the centuries of Assyrian civilization produced a body of art, architecture and literature, while it appears the Caliphate will leave nothing more than promotional videos. Assyria had a long history. The Assyrian heartland was what is now northern Iraq, and the city of Assur on the northern Tigris River dates back to the 26th century BC, though it was only a Sumerian (southern Iraq) administrative outpost and not actually Assyrian. 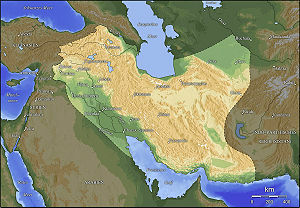 The Assyrians, speaking an east-Semitic language, appeared in perhaps the 24th century, but until the mid-21th century Assyria, then known as Subartu, was dominated first by the Akkadian Empire, centered south of Baghdad, and then by the Neo-Sumerian Empire of 3rd Dynasty Ur, located far to the south. With the collapse of the Empire of Ur in c. 2000 BC Assyria seems for the first time to have become an actual urban kingdom rather than a collection of tribes. The new kingdom enjoyed independence until the 1750s, when it fell to the Babylonian Empire of Hammurabi. After his death in 1750 it was independent again until the 15th century, when it was conquered by the Mitanni immediately to the west. The Mittanni were destroyed in c. 1350 by a coalition including Assyria under King Ashur-uballit I, who established the Middle Assyrian Empire, expanding west into former Mitanni territory and briefly controlling Babylon. 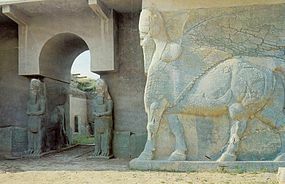 It was during this period, in the reign of Shalmaneser I (1274-1245), that Nimrud was built. This all came to an end in the 11th century because of internal problems and the great Catastrophe, a movement of Indo-European peoples south and east through the Balkans and Anatolia that fractured the entire power structure of the Near East. From 1077 to 911 the Assyrian state was weak and occupied with domestic disturbances, but remained intact amidst the general collapse. From 911 to 824 Assyria was an imperial state again, the King’s armies campaigning almost every year. During this period Assyria was the dominant power in the eastern Mediterranean, controlling territory from the Persian Gulf through Syria almost to the frontier of Egypt. Ashurnasirpal II (883–859) moved the capital from Assur to Nimrud but also began extensive building in Nineveh, which then became the capital and heart of Assyria, as subsequent kings, especially Sennacherib (704-681), lavished their attention on it. By the seventh century BC Nineveh was possibly the largest city in the world, encompassing some 1900 acres behind its seven and half miles of walls and supporting a population of more than 100,000. From 824-744 Assyria stagnated, but then Tiglathpileser III (744-727), establishing a new ruling dynasty, initiated phase two of the Neo-Assyrian Empire, during which it became easily the largest empire the Near East had yet seen, stretching from the Gulf to Armenia and from the Zagros Mountains of Iran west through Syria and Palestine and south to Nubia. It was also the most modern. 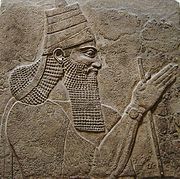 Tiglathpileser reformed the administration of the state, achieving the internal stability that had eluded the Assyrians for centuries, and created what appears to be the first professional standing army in history. He also replaced, where possible, the subject states with a system of provinces governed by Assyrian officials, and woe to those who revolted. The Assyrians terrorized (and stabilized) the Near Eastern world for more than a century, but maintaining the Empire consumed vast amounts of wealth and manpower, and by the last quarter of the seventh century the state was exhausted. And surrounded by enemies. In 625 Babylonia broke free under the Chaldeans (Neo-Babylonians), and the Assyrians were unable to recover this valuable territory. In 615 Assyria was invaded by a new group, the Medes, an Indo-European people who had established themselves in northwestern Iran, and they were soon joined by the Chaldeans, Scythians and Cimmerians. Nineveh finally fell in 612, and Assyria simply ceased to exist as a state, although the last Assyrian king, the usurper Ashur-uballit II, did not disappear until 610. The world rejoiced. “Nineveh is laid waste: who will bemoan her? Whence shall I seek comforters for thee?” said the Hebrew prophet Nahum. Nineveh was never again occupied, and today its ruins stand on the Tigris River in Mosul, now occupied by ISIS, which has already destroyed stretches of the original city wall. Two and a half millennia later Nineveh is being laid waste again. The Chaldean (Neo-Babylonian) Empire absorbed Assyria and much of its empire, but its days were also numbered. 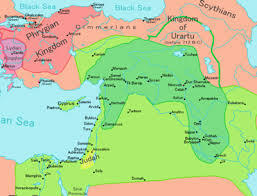 In 539 Babylon was captured by the Persian king Cyrus II the Great (559-550), who had defeated the Medes in c. 550 and united the Iranian people under his rule. Cyrus then proceeded to conquer just about everything from the Aegean to the Indus River; his son Cambyses II (530-522) added Egypt. The Achaemenid Persian Empire made that of Assyria seem small (though much of the eastern provinces were junk territory), and it was a far different operation. Fear of the Persian military of course helped secure the Empire, but Persian policy emphasized respect for local populations and cultures, presaging the greatest political structure of antiquity, the Roman Empire. The Persian Empire ended in 330 with the assassination of its last king, Darius III, whose throne passed to Alexander the Great. After the Macedonian’s death in 323 the Asiatic part of the Empire, including Assyria, fell to his general Seleucus, whose descendants would rule the area for the next century and a half. During the period of Seleucid rule the Empire continually shrank, as a new force, the Parthians, a former subject people in northeastern Iran, expanded westwards and ran up against the frontiers of Roman power in Anatolia and Syria-Palestine by the end of the millennium. Parthia and Rome would duke it out for the next couple of centuries, when in AD 227 the Arsacid Parthian dynasty gave way to the Sassanid Persians, who would rule the area until the Arab conquest in the seventh century AD. 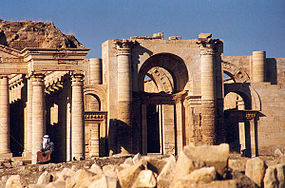 Throughout this period the wealthy fortress city of Hatra, southwest of Mosul, played a key role in the constant wars. And now it is being razed by a group that makes the Mongols look polite. To identify the ISIS barbarians with the Assyrians would be an insult to the Assyrians, for all that they were known for their cruelty. Assyria was a state that existed for the better part of two millennia, playing a crucial role in the history of the ancient Near East and producing a wealth of art and architecture. ISIS is nothing. That the Iranians are now playing a serious role in the fight against the Caliphate scum may be a good omen: after all, it was Iranians – the Medes – who initiated the destruction of the Assyrian terrorists. Of course the presence of the Iranians concerns the US, especially the with-us-or-against-us conservatives, who have trouble understanding the complexities of foreign affairs. (One is reminded of the Vietnamese invasion of Cambodia.) 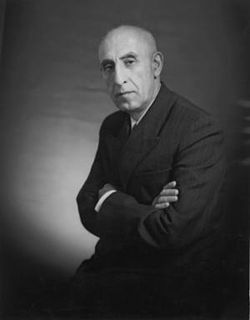 America has conveniently forgotten that the Iranians certainly have reason to be pissed off at us, inasmuch in 1953 the CIA engineered the overthrow of the democratically elected Prime Minster Mohammad Mosaddegh and subsequently supported the increasingly oppressive Shah Mohammad Reza Pahlavi, who was overthrown in 1979. 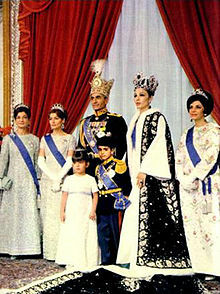 Pity, the Iranians strike me as natural allies, despite their whacko government. Not only is the Shia the more cultured segment of Islam, but the Iranians, at least the urban populations, are secular, certainly when contrasted with our 7th century friends in the Gulf. This entry was posted in Assur, Assyria, Babylonia, Bible, Fertile Crescent, Hatra, history, Iran, Iraq, ISIS, Islam, Near East, Nimrud, Nineveh, Parthia, terrorism, Tigris.